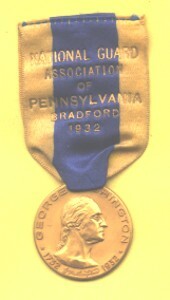 The City of Bradford has hosted many celebrations during the years, including our finest veterans from Pennsylvania. 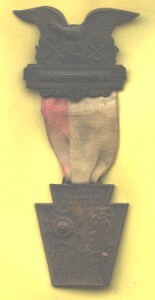 The three medals above were given to those veterans who attended these conventions. 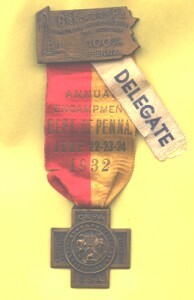 The National Guard Association medal is from the estate of Pennsylvania Governor Edward Martin (1879-1967). In addition to being governor and a US Senator, Martin had a distinguished military career through four wars. Arrival of the delegates and registration. Convention opened by a banquet held Wednesday, June 22 at 6 P.M. at the Hotel Holley, with the representative of the Mayor of Bradford Charles F. Schwab and other prominent speakers addressing the Convention in joint session. Banquet at the Hotel Holley at 6:00 P.M.